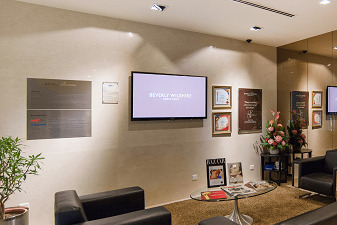 Beverly Wilshire is a private center for aesthetic medicine in Malaysia. It specializes in cosmetic surgery, laser treatment, dentistry, and hair restoration. Doctors of the Clinic use innovative approaches including stem cells to rejuvenate the body. Beverly Wilshire Clinic is the best center for plastic surgery according to the International Medical Travel Journal (IMTJ) - an independent facility considered as an opinion leader in health tourism sphere. The place where your dreams can come TRUE. Excellence doctors that perform splendid IVF treatments with world class results. Friendly and polite nurses, who guides you through along the way. What is the cost of treatment in Malaysia? The total cost is estimated individually and can vary according to the severity of illness, complications (if they occur), hospital type, and doctor’s qualification. You’ll get the exact price for treatment in Malaysia after medical tests and consultation with a doctor.